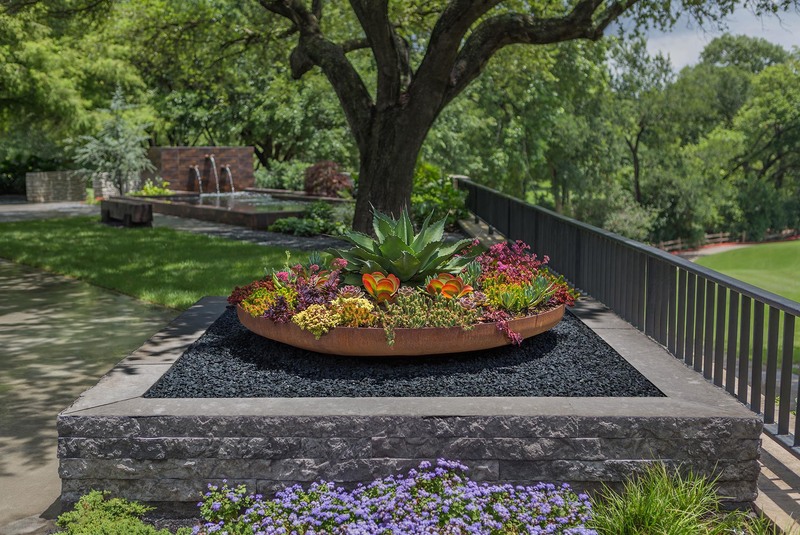 Keeping the history of this early contemporary home was an important consideration for the design of this modern garden. 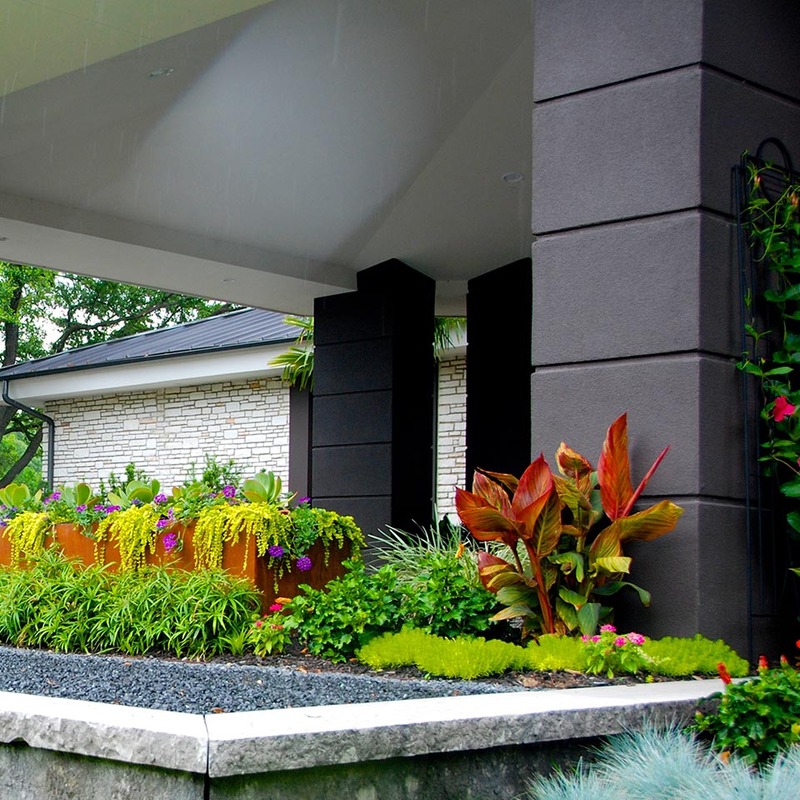 The addition of key architectural elements revitalized the ‘dated look’ of this home. 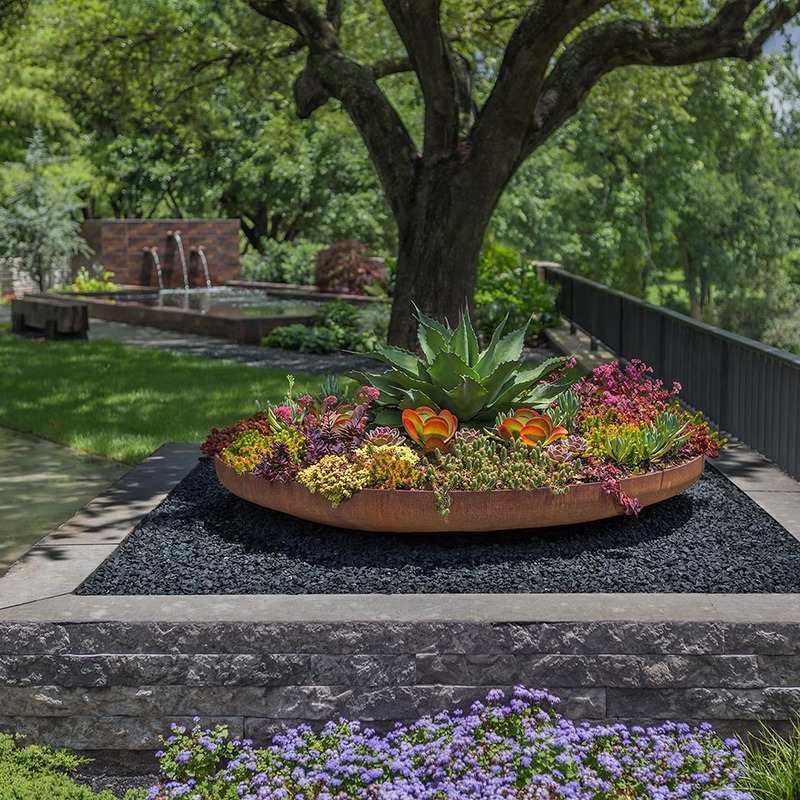 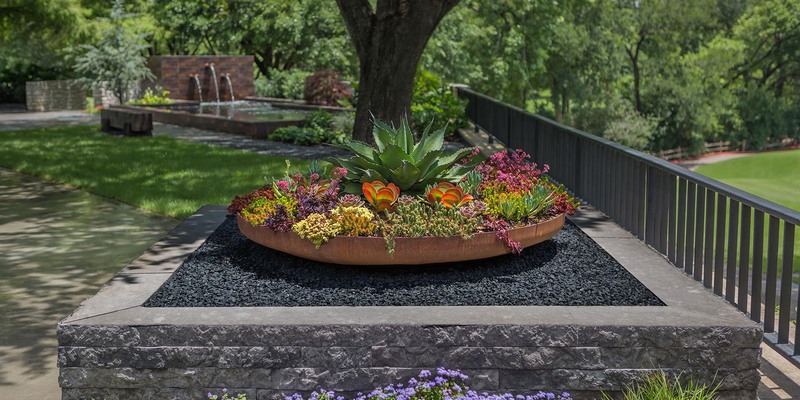 Elongated custom welded metal planters and oversized metal wok bowls are planted with succulents and seasonal color to frame and accent key areas throughout the property. 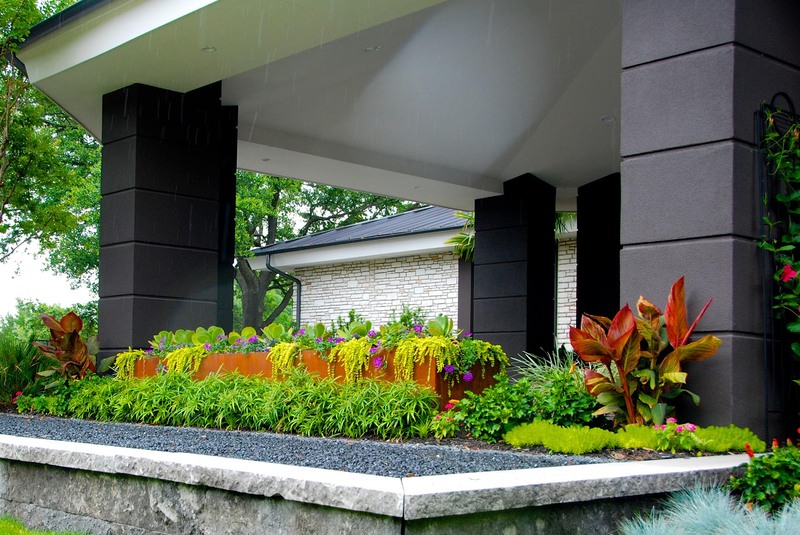 Contrasting coursed charcoal stone walls were used to retain grades and elevate planting presentations. 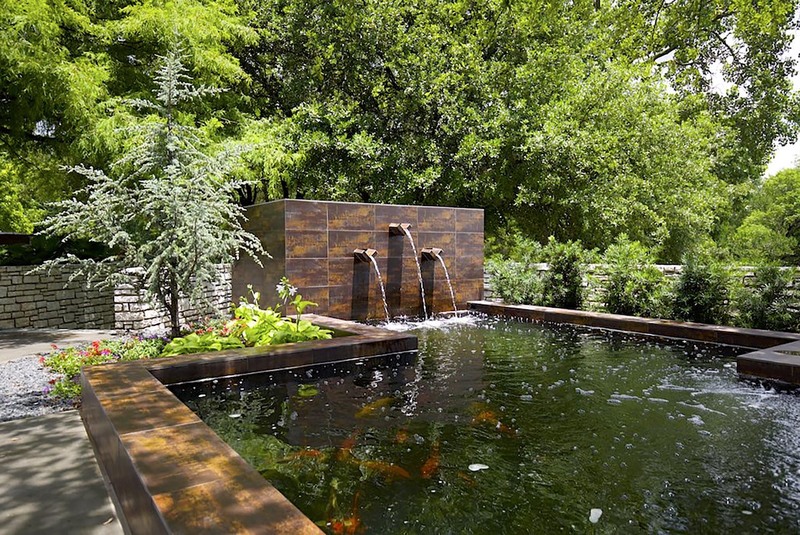 The owners’ passion for Koi was the genesis for a Pacific Northwest inspired tile pond. 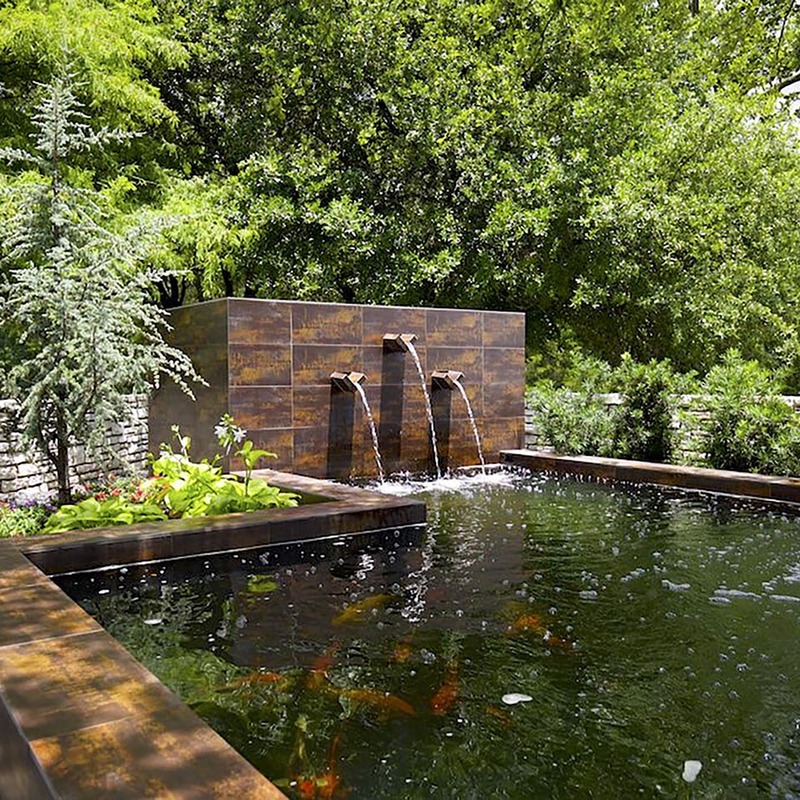 The elevated perimeter on the pond allows guests to sit and enjoy interaction with the prize Koi.